The university follows a set of objectives by way of which it seeks to provide qualitative education to the students enrolling here. The graduates and professionals produced out of the university are capable human resources who are taught to work towards the overall development of one’s country. It is not only the Sikkim but students from far and near land, across oceans also seeks admission to the respectable university offering education in varying disciplines. 50 % fee concession to the students coming from Sikkim Government Quota. 40% fee concession to the students from Sikkim & GTA residents. 25% fee concession to the students from North Bengal residents. Studying at a top university is often an expensive choice to make, but there is money out there for you. If you've just emptied the last of your coins from your piggy bank and your account is still in the red, don't despair. 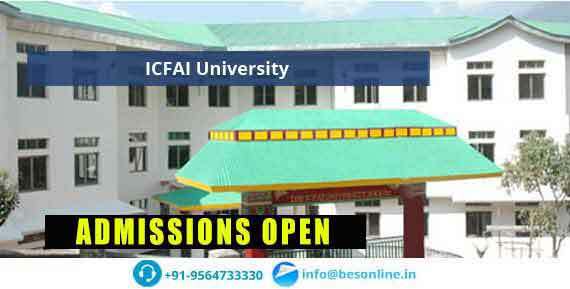 If the ICFAI University, Sikkim is your ultimate choice then the ICFAI University, Sikkim scholarships is there to your rescue. Almost all top universities will have scholarships or grants available for students to apply for. To begin with, you need to realize that putting together a successful scholarship application does often require a significant amount of time. There is entrance exam for scholarship, details of which can be got over the Internet. There are a number of options available with respect to scholarships for students seeking education in Sikkim. An important element is that find out the eligibility for the said scholarship program. The application date, the end date for submitting the application and the exam dates are to be taken note of.